One of the Mystic Seaport's main attractions is this lighthouse, which is a replica of the 1901 Brant Point Light. 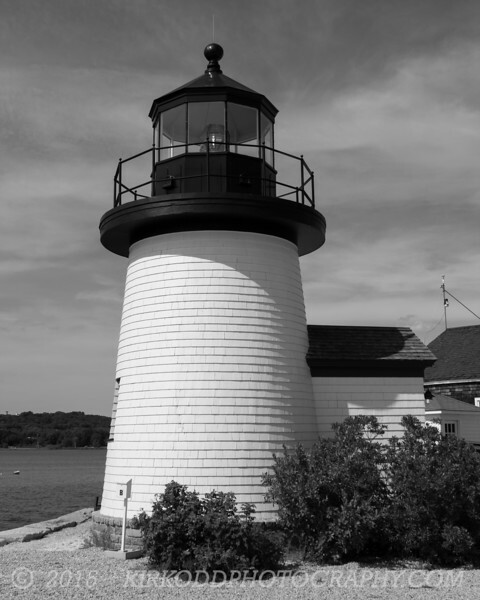 This lighthouse is not an official aid to navigation, but is used by the Mystic Seaport to educate visitors. The lighthouse is currently equipped with a fourth order Fresnel lens, on loan from the United States Coast Guard.